Pipes and fabricated shapes of PUF insulation present a system of three layers. An internal steel pipe of this system transports water. 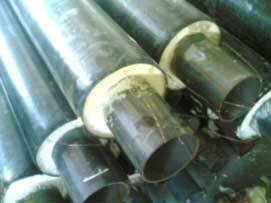 Outer polyethylene or galvanized jacket protects the heat-insulating layer and the steel pipe from subsoil waters or precipitation. Between the steel pipe and the protective jacket there is a polyurethane foam layer which guarantees the insulation of a heat-transfer medium. This pipeline does not require any channels and pits, so excavation efforts are reduced. 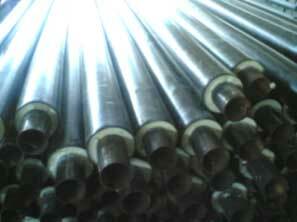 Thus, the use of heat insulating pipes cuts down erection work expenses. Pipe ends are not insulated for facility of erection. 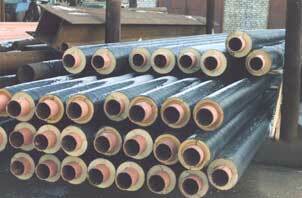 The length of a non-insulated end depends on a steel pipe diameter. Usually it is 150 or 210 mm long. Pipes and fabricated shapes are equipped with wires of humidity control system which are laid into the layer of polyurethane foam (PUF) heat insulation and provide reliable run of the system. This system is produced at the factory on a specialized processing line which guarantees stability of specifications and high quality of the output products. While using polyurethane foam isolated pipes in construction of engineering networks you can reduce total costs on projected service life (30 years) six times more. Loss of the transported heat in such networks is no more than 2 %. 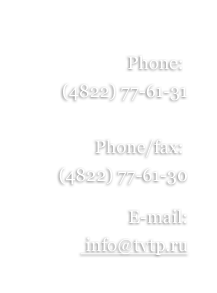 “Tvertrubplast” Ltd produces polyurethane foam pipes meant for construction of tubing, heat networks, subsurface and above-ground pipelining which transport heat-transfer medium at a temperature less than 150 °С. Heat insulating and waterproofing coat is spread along the full length of a pipe except its ends (150±20 mm for the pipes less than 219 mm in diameter and 210±20 mm for ones diameter of which is 273 mm or more). Length of non-insulated ends can vary according to welding and erection requirements.